1. To enter a competition you must be: (a) UK resident; and (b) 18 years old or over at the time of entry unless specified otherwise. 2. Competitions are not open to employees (or members of their immediate families) of Blacktax Radio Taxis Ltd.
7. The winner will be the entrant who is chosen by random number selection from the entries. 8. The closing date is as specified in each competition, and Blacktax Radio Taxis Ltd reserves the right to amend the competition end date at any time. 9. 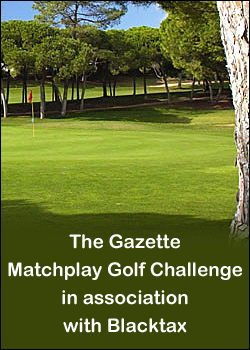 If you win a competition, we will notify you by telephone and e-mail. The judges’ decision will be final, and no correspondence will be entered into. 10. 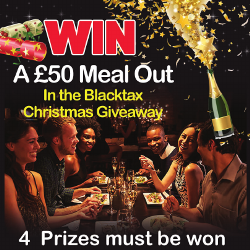 You can find out who has won a particular competition by sending a stamped addressed envelope, marked with the name of the competition to Blacktax Radio Taxis Ltd. 71 Red Bank Rd., Bispham, Blackpool, FY2 9HX after the closing date. 11. By entering the competition the winner agrees to participate in such promotional activity and material as Blacktax Radio Taxis Ltd. may require. 12. The panel of judges for each competition will be comprised of members of the marketing team of Blacktax Radio Taxis Ltd.
19. Blacktax Radio Taxis Ltd. reserves the right to amend these rules at any time. 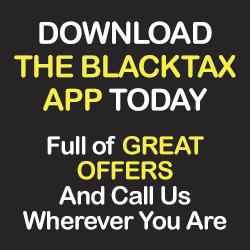 Blacktax Radio Taxis Ltd may also create rules which will apply to a specific competition only. If we do this we will publish the amended competition rules and/or specific competition rules on the relevant competition page. 20. Blacktax Radio Taxis Ltd. will endeavour to send prizes within a month of the competition end date but cannot guarantee this delivery time.